The RainCoast Clown Troupe was founded in 2002. Some of our members also belong to COAI Alley #379. This “alley” was formally established in 2005 and is an affiliate alley of Clowns of America International. 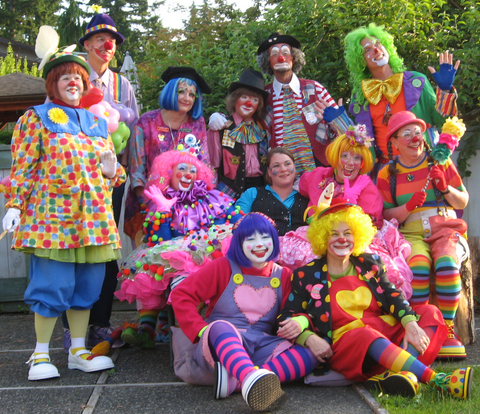 As of 2010, some of our members belong to the World Clown Assoication as well. Our Troupe and Alley members are dedicated to networking, teaching and mentoring. We have no secrets; believing that if one entertainer performs better, we all look better.